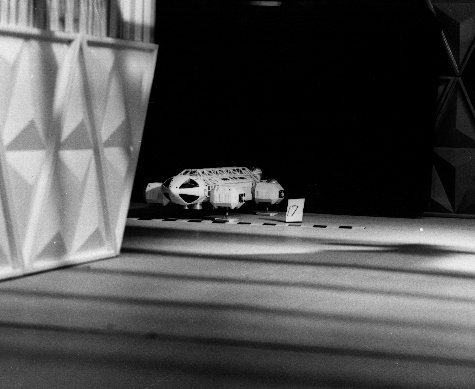 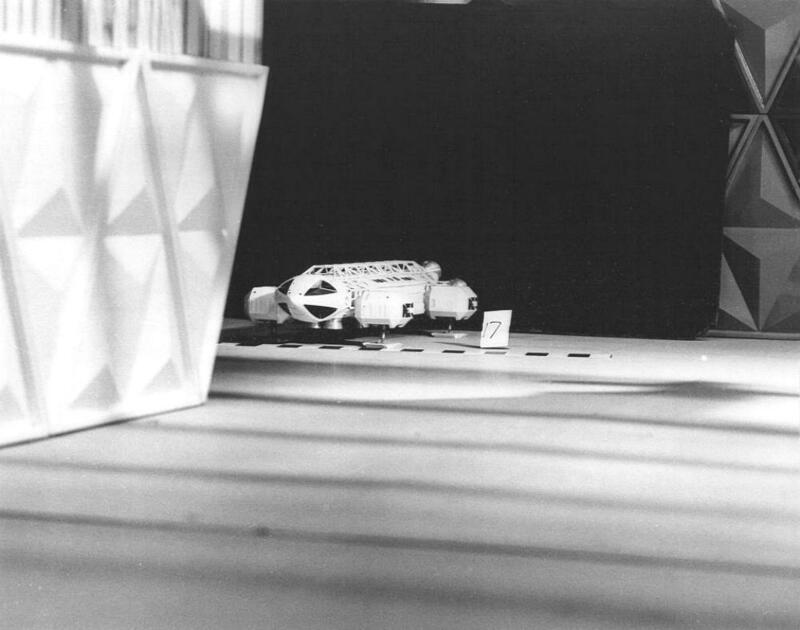 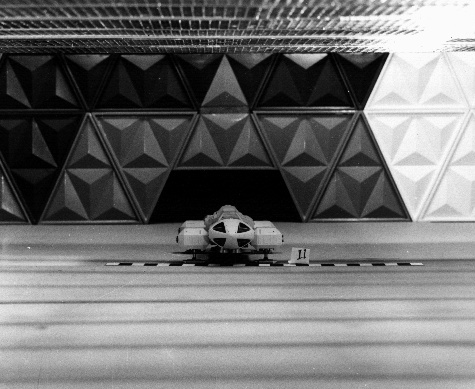 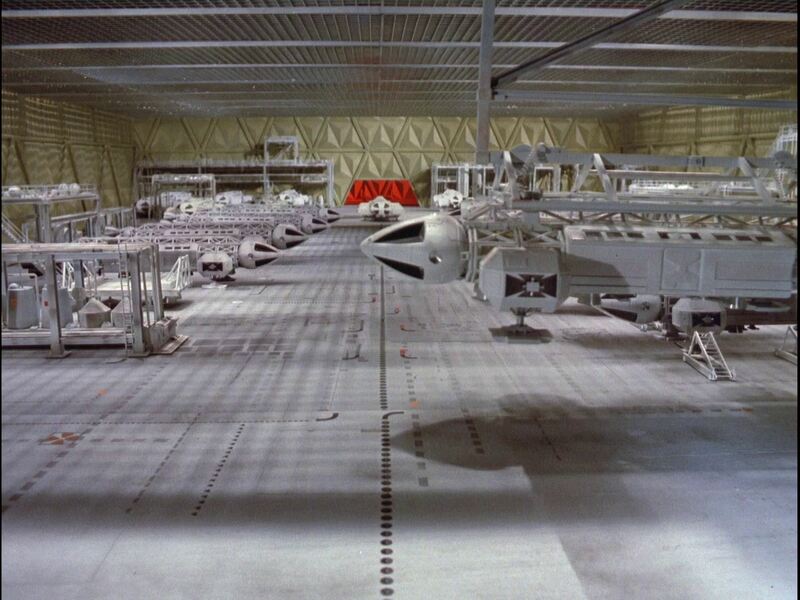 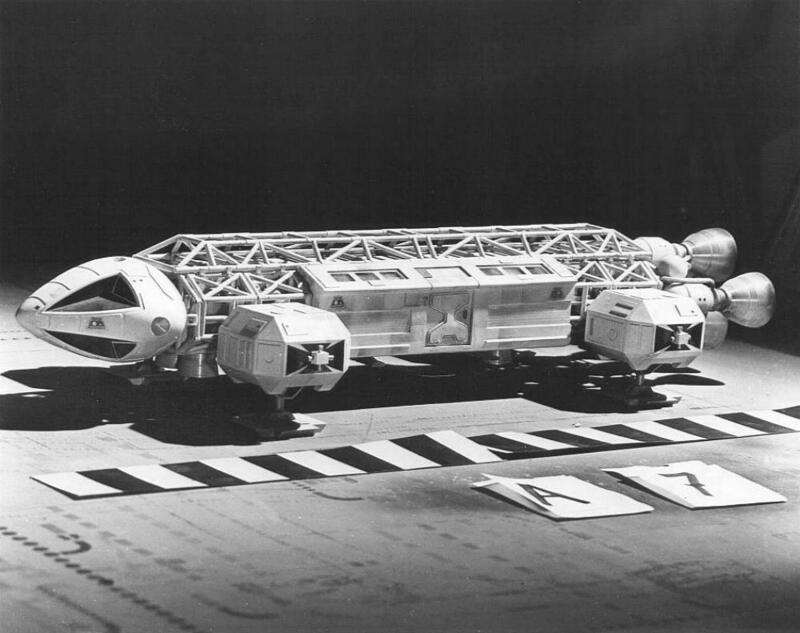 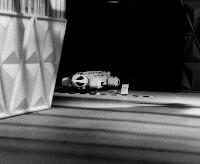 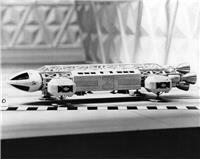 These black and white photos of the 22" Eagle model were taken for the hangar scenes in Breakaway. 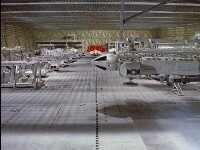 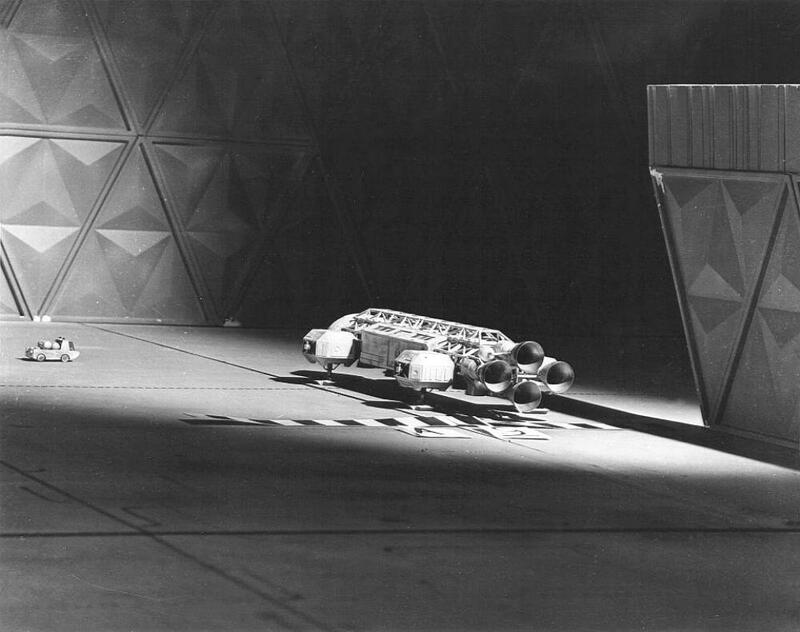 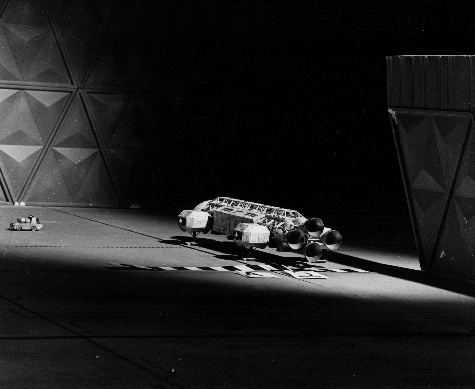 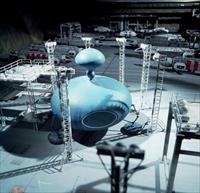 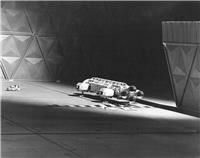 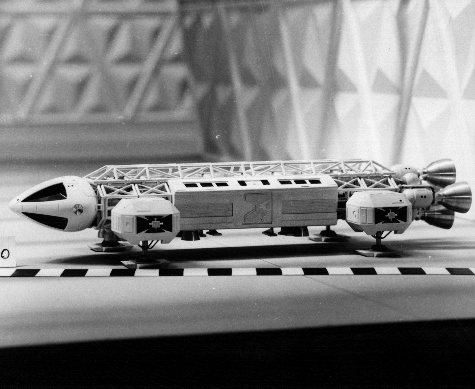 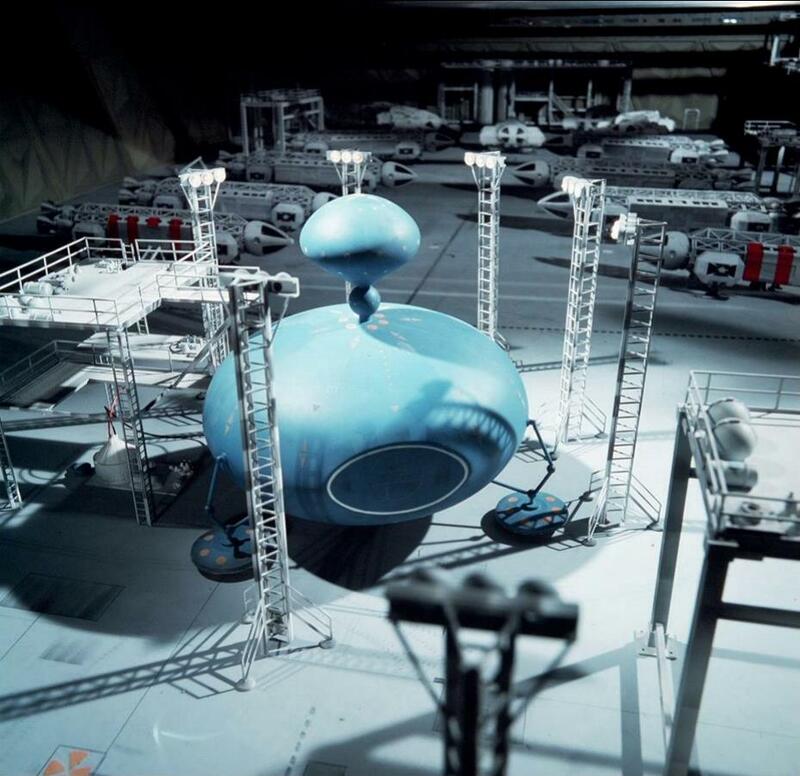 The photos were made into cut-outs that were lined up in the set to give the impression of a crowded spacecraft hangar. 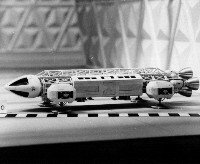 On screen it is impossible to tell that the background Eagles are black and white photos. 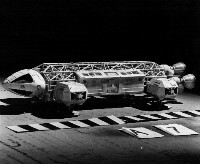 The small vehicle is a modified Matchbox "Stretcha Fetcha" ambulance (in their "Superfast" series, from 1973), with the greenhouse-like back cut off. 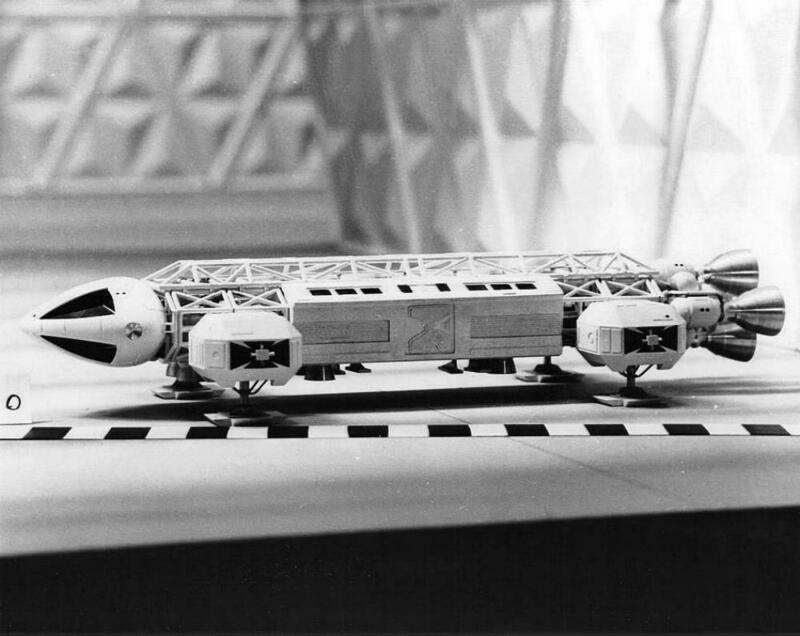 This behind the scenes shot from Earthbound reveals the deception.